What if you could down drinks at a Tumblr open bar, rock out to live music from Spotify, and battle it out at ping pong and Foosball, all while finding a sweet new job? Then you’d be at NYC Uncubed, a recruiting event for those sick of awkward, traditional recruiting events. 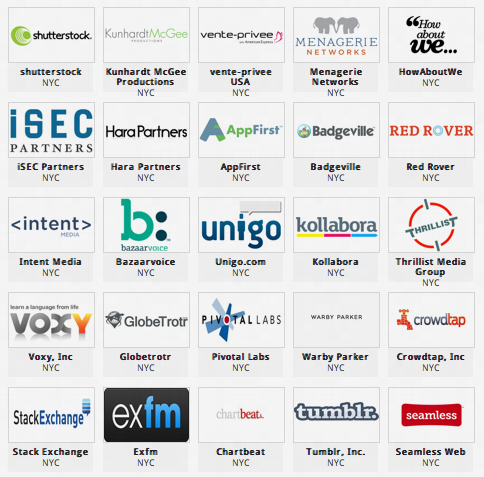 Formerly the Silicon Alley Talent Fair, Uncubed has over 70 New York City startups that are on fire and ready to hire programmers, designers, marketers, and more. It’s all going down on April 26th from 1pm-7pm at The Altman Building, 135 W 18th St New York, 10011. 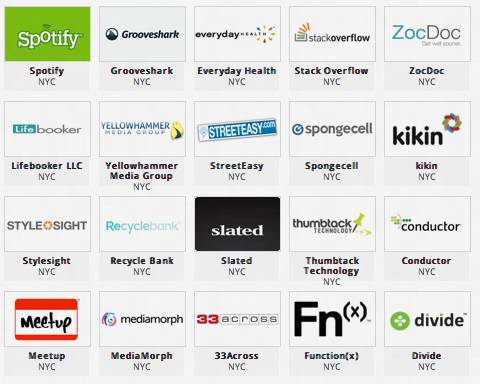 Attendees and startups can both sign up on the Uncubed website. Normally I wouldn’t write about another talent fair, but I want to encourage this informal approach to recruiting. When there’s nothing but company booths, it feels like a meat market. But like any good party, when there’s something fun going on around you, it’s a lot easier for employers and recruits to break the ice and get to know each other. So on top of Tumblr’s open bar, Spotify jams, StackOverflow vinyl cutouts, and games from Enterproid, there’ll be speaker sessions featuring Joel Spolsky, CEO/Founder of Stack Exchange, and Kellan Elliott-McCrea, CTO of Etsy. Other cool companies who’ll be there scouting for talent include Warby Parker, Chartbeat, shutterstock, Badgeville, and Seamless. And yes, in case you weren’t sauced up enough already, there’s a happy hour afterwards. Cheers to Uncubed for planning a recruiting event you might actually want to hang out at. If you’re near New York, don’t miss TechCrunch Disrupt New York 2012, featuring Michael Arrington, former Mozilla CEO and current Greylock Partner John Lilly, and Google’s Vice President of Location and Local Services Marissa Mayer.